The last of the concluded last weekend and excitement surrounding the is beginning to build. The event is set to take place April 9–11 in Cary, North Carolina at the Cary Tennis Park, and it will host a full slate of 64 teams and over 600 participants. The competition and fun is made possible through collaboration between, the, , and the . Defending champion the University of California, Berkeley and recent powerhouse the University of Florida will compete for the crown with other clubs. On Thursday, April 9, teams will battle their way through pool play matches in hopes of securing one of the coveted sixteen slots in the Gold Bracket. Bracket play—Gold, Silver, Copper, and Bronze—will begin on Friday, April 10. The NIRSA Championship Series is excited to announce that Dave Peters of Florida State University—who has earned the title “The Voice of the NIRSA National Championship” at other Series events—will emcee the championship match featuring the top two overall teams. Dave will also emcee the awards ceremony recognizing the national champions, the divisional winners, and both the USTA Tennis On Campus Club of the Year and Leader of the Year. 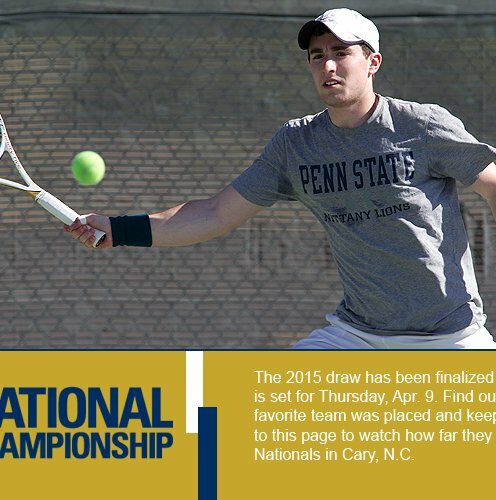 Find out more about the teams involved with this year’s championship and how the clubs earn their bids to the national tournament by visiting the Tennis On Campus . And if you’re in Cary, North Carolina from April 9–11, make sure to stop by and check out the event!